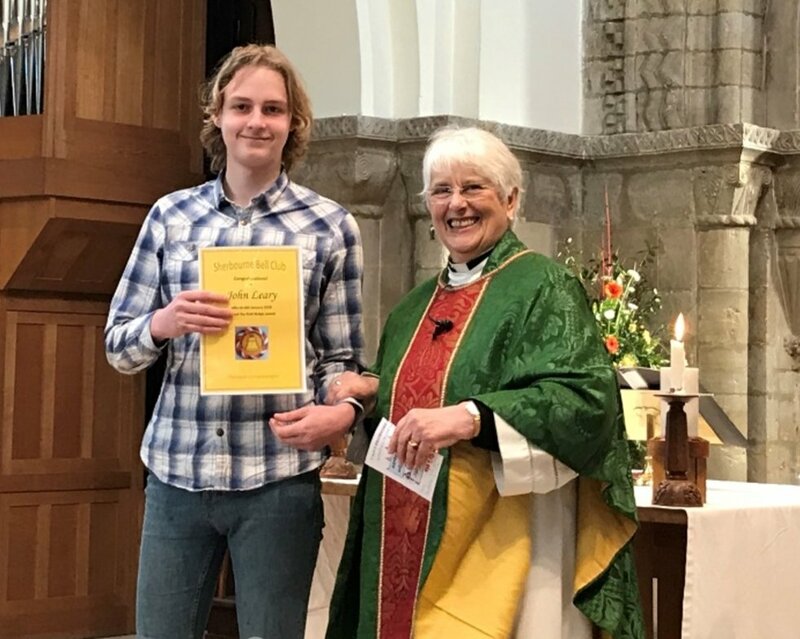 Congratulations to John Leary, who a few weeks after his 15th birthday has achieved the Sherbourne Bell Club Gold Award “Champion Campanologist”. He is the first Junior Ringer in the Petersfield Band to reach this standard. John is a reliable and regular Sunday ringer and has just rung his first Quarter Peal as well. We would like to take this opportunity to thank our friends the Buriton Ringers who have welcomed John to their practices during the past year and given him the extra help and encouragement to make such great progress.